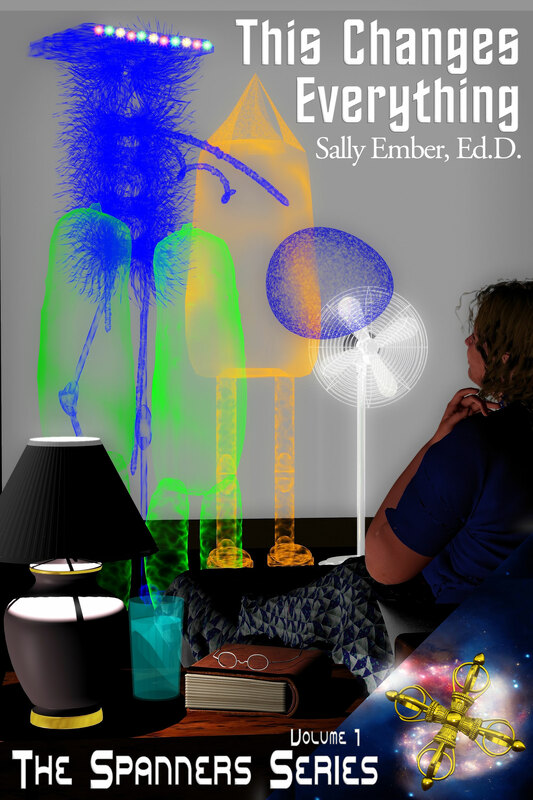 “Actualists” vs. “Realists”: The Evolution of Modern #Fiction thanks to #Quantum #Physics | Sally Ember, Ed.D. 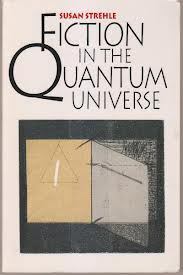 FULL DISCLOSURE: I have not read the book, FICTION IN THE QUANTUM UNIVERSE, being reviewed in the blog post I am quoting, written by Marti. I probably won’t. But, I’m fascinated by the topic, which relates directly to my own writing and choices in The Spanners Series ebooks and appreciate her review and snippets enormously. I’m sharing some of Marti’s review, linking to her blog (below) and commenting here on mine. Of course, I encourage anyone interested to read the full review AND read Susan Strehle’s book. Some day, I will. I LOVE this idea! As a new-ish speculative fiction writer (This Changes Everything, Volume I, and This Changes My Family and My Life Forever, Volume II, published as ebooks, so far) who would definitely fit into this category, I’m glad to have these choices honored and recognized as parts of a trend. Strehle calls this new fiction actualism, which I like as a term. However, I don’t like her positioning realism as its opposite, since Buddhists and quantum physicists all realize that NOTHING is “REAL” in the sense of the word as we currently know it. This I do agree with. For example, I am choosing to write my novels in the present tense (which aggravates and confounds many readers and reviewers; too bad) to emphasize the simultaneity of time and the “nowness” of everything. I also write about the existence of multiple timelines and some people’s abilities to know facts, events, circumstances, etc., across these timelines in the multiverse. How would I and and other sci-fi writers be doing this without the influences of quantum physics? [Strehle] says that in the new physical or quantum universe, reality is discontinuous, energetic, relative, statistical, subjectively seen, and uncertainly known — all terms taken from new physics, and that rather than choosing between art and actuality, contemporary novelists pursue both in fiction. Actualist fiction is characterized by incompletions, indeterminacy, and “open” endings unsatisfying to the readerly wish for fulfilled promises and completed patterns. Gravity’s Rainbow [by Thomas Pynchon], for example, ends not with a period but with a dash. Strehle argues that such innovations in narrative reflect on twentieth-century history, politics, science, and discourse. Read Marti’s full review by following the link, here, and read Strehle’s book by following her links to it or getting it from your local library. Enjoy! This entry was posted in All Volumes, Blogging and others' content, Indie or Self-Publishing, Science, Science Fiction and Fantasy, The Spanners, Writing and tagged authors, Book Reviews, fiction, physics, quantum physics, science, science fiction, speculative fiction, Writers, writing. Bookmark the permalink.